March has arrived, which for many states on the east coast and midwest means that spring break is right around the corner! And after a long and snowy winter season it can't come soon enough! Ideally, you've already reserved your Pawleys Island condo for your spring break vacation to the Grand Strand. Now all there is left to do is prepare for endless fun on your getaway! Here are a few essential items that can help make your spring break trip to Pawleys Island even better than you expected. It's great to dip your toes in the sand out on the shores of Pawleys Island, but no one likes it when your beach towel is covered in a layer of the stuff. But with the CGear Sand Free Beach Mat, you can enjoy a relaxing lounge session on the beach without getting covered in grains of sand! The mat's unique 100% PE double-weave construction ensures that any sand that winds up on the mat is filtered through and disappears right before your eyes. The mat is UV-treated to prevent fading and is waterproof, drying quickly after a dip in the ocean or an unfortunate drink spill. Different colors and sizes are available, ranging up to an extra-large 12'x12' size that provides sand-free seating for the entire family. You can find the CGear Sand Free Mat on Amazon starting at under $40. There's nothing like adding some music to your day at the beach to liven up the party or set you firmly in relaxation mode. The boomBOTTLE H2O wireless Bluetooth speaker is the perfect tool for the job of jamming out some tunes, with a long-lasting charge that will offer up to 11 hours of crystal-clear sound. The device features a 50mm speaker and passive subwoofer capable of producing clean highs and lows. Of course, what makes this product ideal for the beach is its water resistance. The boomBOTTLE H2O can be submerged 1 meter underwater for up to 30 minutes, and if it somehow winds up in the ocean it floats! The boomBottle H2O speaker can be found on Amazon for under $40. There are few places on earth where your eyes are bombarded with UV rays than out on the beach. And we've all made the excuses for taking out a nice pair of shades on the beach. They'll end up at the bottom of the ocean or the lenses will get scratched worse than an angry tabby's scratching post. You can kiss those worries goodbye with the Rheos Sapelos Floating Polarized sunglasses! The classically-designed TPX frames float right back to the surface if the shades get dropped into a body of water, and a durable scratch-resistant layer on the lenses ensures durability. Of course, all these features do nothing if the lenses don't protect your eyes, and these shades feature 100% UV protectant and polarized lenses to filter out blinding glare. The Rheos Sapelos sunglasses can be found at Nordstrom for only $50. 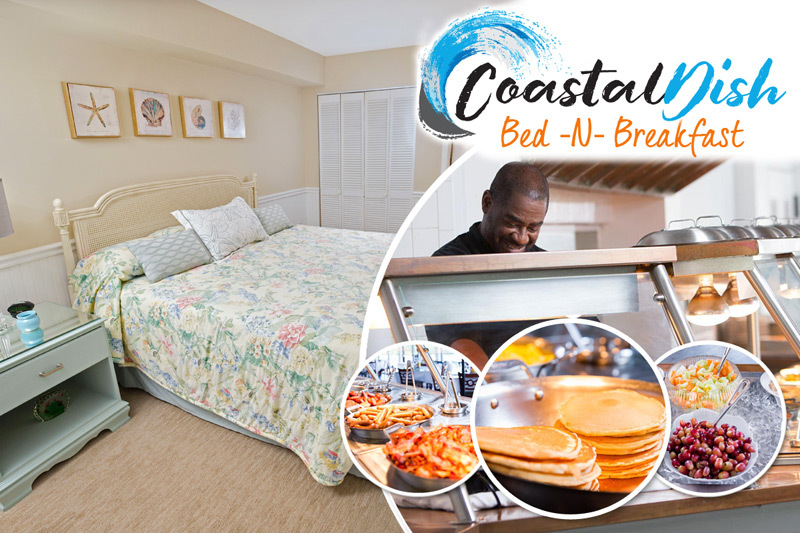 With these great beach items, your spring break vacation in Pawleys Island is sure to be an unforgettable getaway! If you haven't booked your condo or beach house for your upcoming trip to Pawleys Island, be sure to check out our partner properties at Pawleys Plantation Resort, True Blue Resort and Litchfield Beach and Golf Resort. We offer you and your guests the best vacation rentals in Pawleys Island for unbeatable prices!